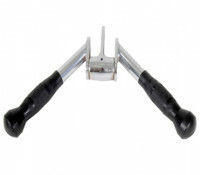 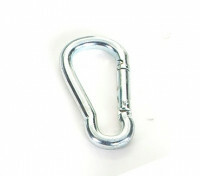 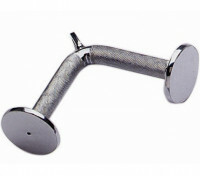 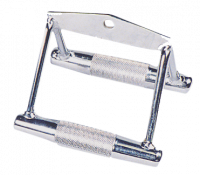 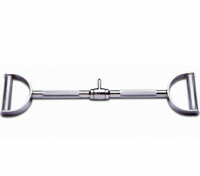 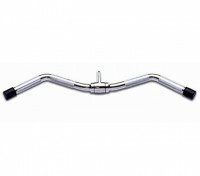 Made of solid steel with open cable handle. 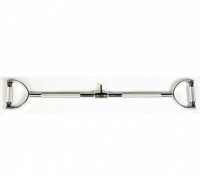 Perfect for gym, club or home use, the USA 20” Deluxe Revolving Straight Bar with forged swivel and rubber grips is designed for triceps press-downs, straight bar curls, upright rows, seated rows, arm pull-overs and more. 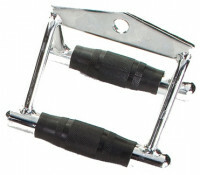 The end caps are protected with heavy duty caps for extra protection. 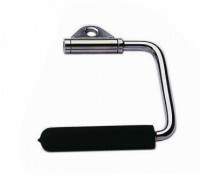 Made of solid steel with rubber end caps and rotating swivel.